Episode 7 – Racka Racka it up! In this episode we talk to Guy Turner – Customer Solutions Manager at News Corp Australia. Guy explains how both his role and the newspaper business has changed over the last decade. Guy also explains the blessing and curse that digital is, as well as how News Corp is working towards establishing an innovation culture within its ranks by fostering and even participating in startup culture. Advertising metrics comparing traditional paper to view and click metrics. Speed of news creation and the 24/7 news cycle. Advertising Agencies and the dangers they face in applying trusted analog advertising concepts to online and social. News Corp’s dependency on print advertising and its alternatives. Lessons learnt in the MySpace purchase and the little known benefit that transaction provided. Corporate Antibodies and how companies and individuals within companies can be a hindrance to innovation and required change. In this episode we talk to Adelaide lawyer Craig Yeung about his divergence from the traditional model of law into his new legal start-up. Craig chats about the challenges of being innovative within the very traditional and conservative legal space of South Australia. Accreditation as a method of maintaining professional standard or a barrier to innovation? How the legal fraternity disincentivises senior practitioners to change, while providing very limited opportunity for new entrants to innovate. How new client payment and engagement models prove challenging for the establishment to approve. Scaling a service orientated business. Importance of a supportive family. In this episode we talk to brothers David and Terry O’Donaghue and 3rd founder Ben Marsh about the genesis of their games company Odd Games. We talk about what it is like to work with family, and what is is like for Ben to work with 2 brothers. Working with Family and the importance of defining roles. Dealing with the HIT / MISS nature of the games industry and strategies to smooth out this binary outcome. Launch Strategies into the online content stores of iTunes and Google Play stores. Job To Be Done of Monster Truck Games – is it Destruction or Customisation of their Ride? Grant remember’s to mention an important family member of his own… brother Craig who is Co-Director of Enabled. 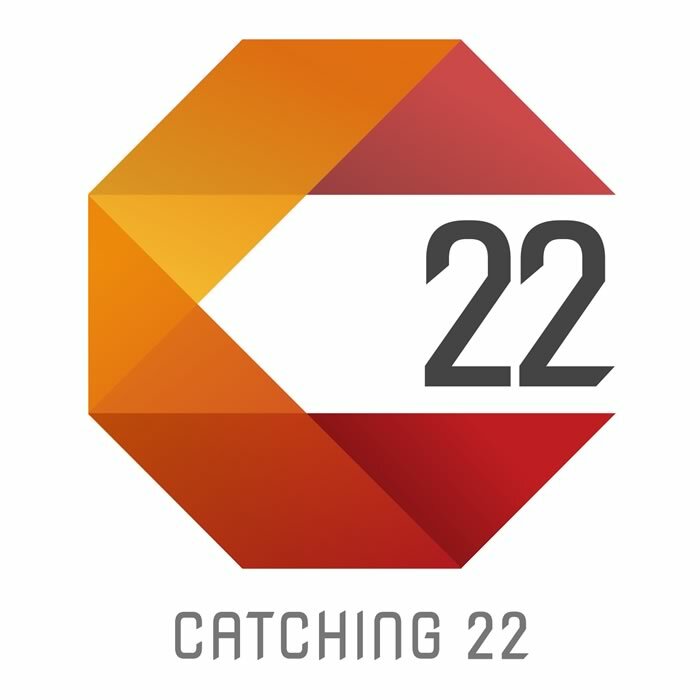 In the first Episode of Catching 22, Eamon and Grant chat about their origins and take the listeners through journey up until the current day. Wrapping this episode they chat about what they hope to gain from the podcast, how they hope listeners can benefit and why they called this podcast Catching 22.